PDCN Wins Best Community Powered Campaign! Wow! 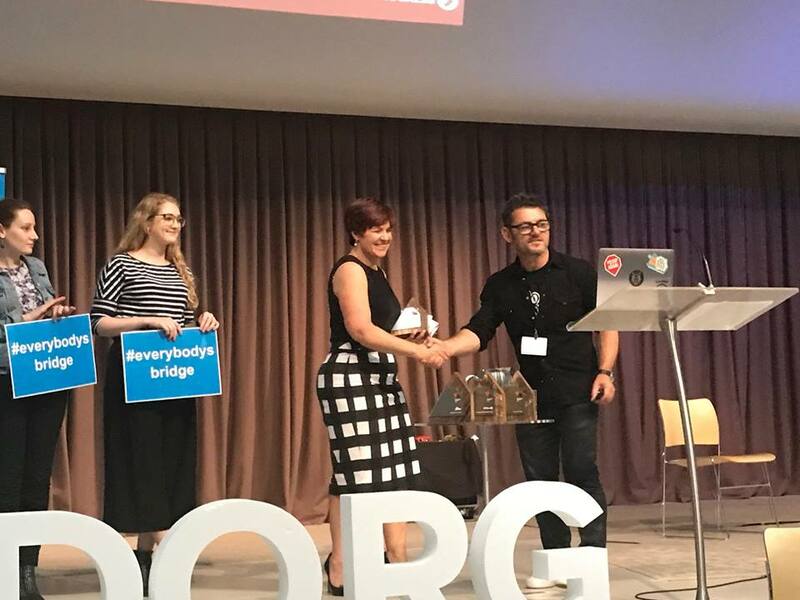 We are thrilled to announce that PDCN has won the Best Community Powered Campaign in the 2017 Do Gooder Awards. Thank you to the panel of judges and to the Do Gooder Organisation for this honour. After over ten years of advocating for accessible lifts on the Sydney Harbour Bridge, 2017 marked the completion of a victorious campaign. 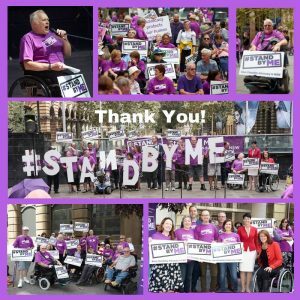 After it was announced earlier this year that the NSW government had pulled funding for their promised construction of accessible lifts on the Sydney Harbour Bridge, PDCN swiftly organised a media campaign, and a protest rally to tell the Government and the media that defunding the SHB lift project is NOT acceptable. As well as advocating for the importance of access to this iconic landmark, the campaign also aimed to bring attention to the fact that universal access is imperative – for people with disability, parents with prams, the elderly, or anyone who is unable to climb steps. Within a week, the campaign was a success with the NSW government reinstating funding and PDCN has now shifted their focus to ensuring that the project is fully completed by October 2018 – in time for the Invictus Games! 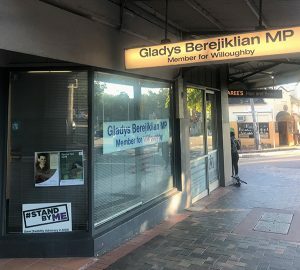 Receiving recognition for this successful campaign is an honour, and we couldn’t have done it without our dedicated staff, board and of course, our members and all our valued supporters whom helped by providing such vocal support when it was needed!